Can this be used as a center speaker? BEST ANSWER: Yes it can, pending your stud spacing. I just mounted 3 of these (left, right, and center) for my setup. Luckily my studs on that wall are 24” apart and I could perfectly Center the speaker below the TV. It can. I used it for exactly that since the center channels were out of stock. Make sure to check to see if it will fit between the studs in your wall if you are mounting it horizontally. I'd guess you could however, why would you not just order the center channel version? Yes it can, but check your stud spacing as these are long when turned horizontally. Sure, there's no reason it can't be a center speaker. Yes! That's what I am using it as. Works great! yes it sure can be used as a center speaker. Perfect for a center speaker. Yes, it does a great job. How deep are these? Can't seem to find the specs on the web page. BEST ANSWER: Mounting depth is 3.6". Great speakers. I don’t have the exact measurement, It did not touch the wall insulation. So I’m guessing between 3.5 to 4 inches. 8.2" x 19.2" x 3.6"
Hi, I was looking for a solution for a small condo living room. I was hoping to combine this AMP with a pair of in-wall speakers. Will the Amber 6.5-inch Carbon Fiber 3-way In-Wall Column Speaker with Ribbon Tweeter Product # 15700 work well, or is the amp not powerful enough? Would you suggest smaller speakers? Would you suggest adding a powered sub-woofer? Or a bigger AMP? How loud is 50wX2? BEST ANSWER: Thanks for your interest in these audio products. Tubes + Ribbons + Magic! I did some of my testing with this exact configuration. It is a fantastic sound. It does get some pretty good volume. It should be plenty of volume for your condo with a small sub, unless you like debating your neighbors about the how sound dissipates through air vs, walls. 50 watts by 2 is not that loud in my opinion. I am using a 150 watt by 2 channel amp for these speakers. 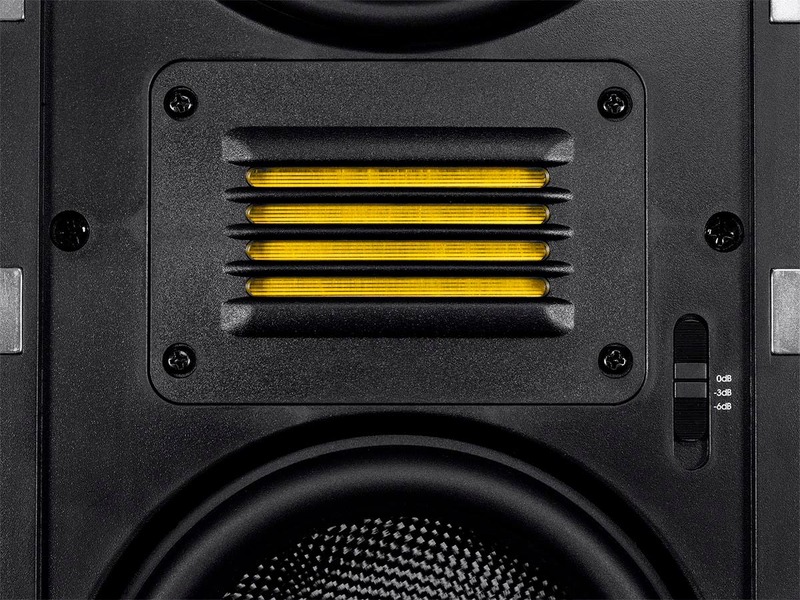 If you desire bass with some presence than yes you will desire a subwoofer. I paired mine with an older JBL dual 8" sub being run with an additional 150 watt by 2 amp. Keep in mind that an amplifier is not supposed to be turned up beyond half way. If you do you will loose details in the sound and send distortion and possibly damage the speakers with the under power distortion. My personal opinion of these speakers is that they are very directional. You need to sit inbeteeen the two of them to get a good stereo image. I would prefer a slightly warmer midrange but for the money they are great speakers. didn't want to wake the neighbors. I can't speak to those speakers, but this amp has ample power and cranks pretty good. I have it in my office on a pair of JBL G200s, and it rattles the entire house without too much effort. If you are planning to use as a main audio system in a living room, I would definitely consider a powered subwoofer as the in-wall speakers won't give you the bottom-end you're probably looking for. Opinion, I would recomend going with a regular home theater amp for your purpose. this may be under powering your speakers and you would probably like the multiple configure options of a higher end reciever/amplifier. Again, opinion. This type of amp is geared more for the audio hobbyist in a bookshelf configuration. Perhaps pared with a turntable. Hi. I think that you'll enjoy the warm tube sound paired with the ribbon tweeters in the speakers. I would suggest a sub using the preamp output in the rear. I use this 2.1 combo and find it Very satisfying . How loud I can't say. I think it will be plenty loud for you. My system fills a medium sized room with great sound. Go for it! I purchase two of these, and currently using them as my FR,FL. (they are fantastic) I was thinking of purchasing two more and using them as my rears (RR,RL), would there be any issues using them as rear speakers? BEST ANSWER: I have a 7.2.4 system designed for Dolby Atmos.... using 4 of the speakers you cite for side and back surrounds.... works well. Using the speakers in your system would also work because using all the same speakers means they are "timber matched," which is desirable. The speakers are a good value and I especially like the ribbon tweeters, an unusual feature in this price range. I currently use them as my rears mounted in a 16 ft ceiling. They were great. Given that we have loud kids, I use them in a 4.1 configuration and since the height of the ceiling I also increase the output to them from the receiver. I was honestly very surprised and how much I like these speakers and highly recommend then. I currently have 4 installed. 2 Front(FL/FR) and 2 Rear (RL/RR). Excellent quality sound and tones. Music and everyday TV sound great...movies in Surround Sound are phenomenal! Highly recommend adding the additional speakers. I purchased the same speakers and are using them as my rear surround speakers. They are good speakers for both front and rear use. You should not have any issues using them as rear surround. Could this be used in a system as a Center channel? Mounted horizontally of course. I was trying to keep a consistency among my speakers when installing and was thinking that if this could act as the Center, I could use the 8-inch 2-ways as Left and Right. Any suggestions or answers would be helpful. Thanks in advance! BEST ANSWER: I use 3 of these at my Left, Right and Center Channels. I think it does a fantastic job as a Center channel. I have the 8-inch 2 ways as my left and right surrounds and custom made units for back surround. Playing music using all 7 channels is awesome. I like the uniform look having all three the same size gives, plus when watching movies and the dialogue or sound effects pan across the from stage it's seamless having the same drivers all across the front. Your choice though. Do it! Depending on the wall, it is probably not weight bearing. So just notch out what you need to. It's too long to fit between most studs when oriented horizontally. Absolutly. It's perfect for a center Channel. Do these for certain have magnetic grills? The other Amber speakers say they do, but users report they do not. BEST ANSWER: Yes, they have very nice magnetic grills. We painted our grills to match the dark walls in our theater room. That made the bright silver magnets behind the grills very visible through the grills. A little work with a black sharpie made them disappear. Yes...magnets are actually strong enough to be mildly challenging to remove! Yes, you can see the magnets right there in the pic. Can this speaker be used as a horizontally mounted LCR? BEST ANSWER: Thanks for your interest in this ribbon speaker. The speaker is designed for vertical use. The lager than 16-inch length was not a accident. The port cover is removable for more bass response if not using a sub. Be on the lookout for a complete line of ribbon in-wall and ceiling speakers including a 3-way center, 14.5" wide, Shhhh. Don't tell anyone. Are you able to provide an estimated release date for the complete line? So when will the 3-way center channel be available? Uhm... Dave? So how long do I need to be on the lookout? They are here now. Just type in "Amber" in the product search. i just mounted 3 of these horizontally as an L/C/R and they sound good. i framed in my own openings though so if you have a standard stud spacing then no. Yes, I am considering this option too. I actually read that there is no real reason to place the speaker sideways. It is just sort of tradition. I've been using it as a center horizontal mounted in an LCR setup - had to adjust a stud to make it fit, but it works just fine. How is the tweeter dispersion if this speaker is turned 90 degrees and used as a center channel? By the product description posted, it seems like it would work horribly. If there were a rotated version (or if this were engineered with a rotatable tweeter mount) I'd snap these up in a heartbeat. Also what's the deal with what appears to be a capped port/vent at the bottom of the speaker? Is that meant to be uncapped if the speaker is mounted with a back box? BEST ANSWER: The ribbon tweeter is a thin flat film. The slots minimize vertical dispersion to keep sound off the ceiling. The optional port is for your tuning preference. Small subs or those who want bassier sound can open it. Hi David M., I purchase these speakers about 2 months or so ago. A few years ago I bought the yellow speakers, which I was impressed with them but decided to try the carbon fiber with ribbon tweeter. I think they are awesome! The tweeter is so clear it's quite amazing. I think they can work for a center channel for sure although they may require some modification if you want to put them between studs. 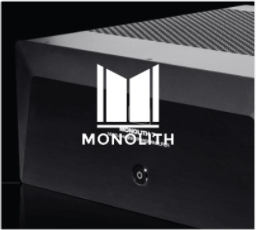 Personally, I bought Monoprice's matching center channel...it's 15" long so it fit perfectly between studs but Its not as clear as the ribbon tweeter (and I don't think center channels are made to be that clear anyway but not sure). The port is capped and appears to be glued as well but it does have screws to take it off. I guess it's slightly glued to be sure it's sealed (it could be sealant). I didn't take the cap off but just place them in the wall as is. I'm very impressed with these speakers. You will need a sub though if you want low end bass. The tweeter is flat it would work fine for a center if you have room between studs. As for the port if it goes in a back box I think then I would try taking it off. I have installed like 3-4 pairs. How would these work in the ceiling for atmos height speakers? I wander how the dispersion would be with the ribbon tweeter. I'm using the 3 way ambers for front LCR channels. Would these just be overkill or would it be worth it to match all speakers? Anyone doing this same setup? BEST ANSWER: These will probably be overkill for your height speakers. If you can wait I have a complete line of ribbon 2-way in-wall and ceiling speakers scheduled for Oct. release. The ceiling speakers have 1x1" ribbons that have a very close signature as the 3x4 ones in your 3-way. The in-walls have the same 3x4 ribbon. Dave - will Monoprice start publishing the dispersion range for its Atmos speakers? From what I've read, Dolby specifies a very wide dispersion angle for Atmos speakers (45 degrees from 100 Hz to 10 KHz). I don't see dispersion angles mentioned for these speakers (or almost any other manufacturers/websites, for that matter), but if they did meet the Atmos specs I'll be first in line to try them out in October. Full disclosure: I don't have these in use for a matched atmos setup. As for ceiling mounting these speakers, IMO they are a bit heavy for that. I use them as rear surrounds and highly recommend them for that purpose. 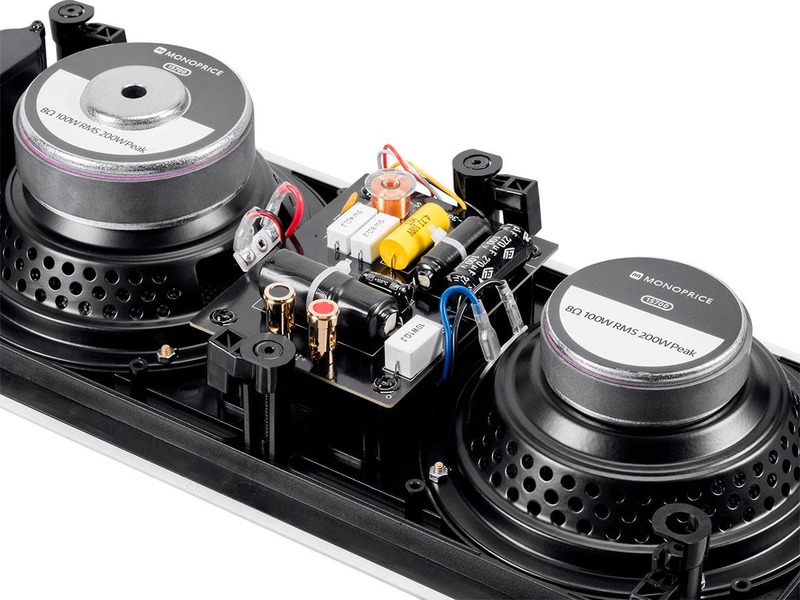 For ceiling mount speakers, the caliber series should be more than sufficient and are quite a bit easier on the wallet. Personnally, I wouldn't trust the mounting tabs to hold these in any type of ceiling, especially if you plan on pumping a lot of volume out of them. But ultimately all this is your call. If you do what you are proposing, and can support the weight of the speakers, you will be quite happy with the results, but will have spent more than is necessary for similar outcomes. Best of luck to you! Any timeframe or expectation on the ribbon in-wall/ceiling speakers? I'm looking to purchase 4 speakers to match the dual 6.5" w/ribbon tweeter fronts I just received. Would love to go with all ribbon tweeters for matching sound all around! 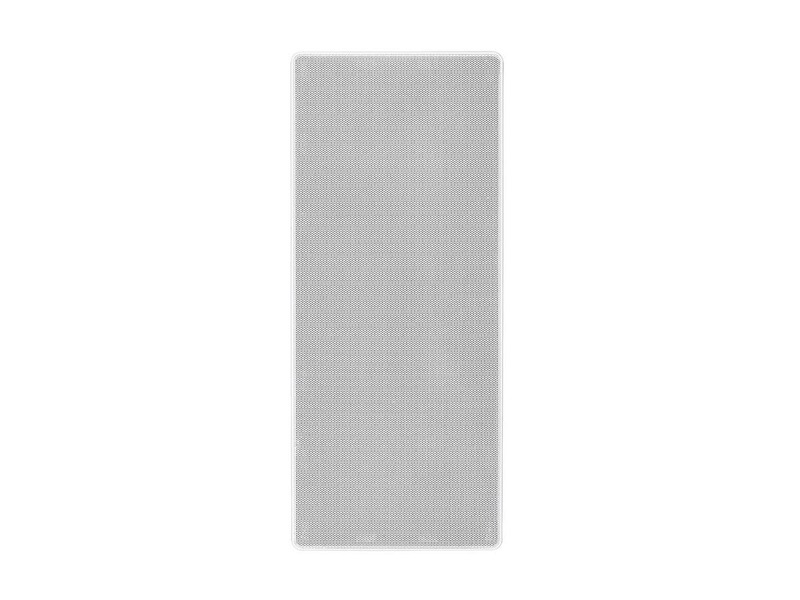 Can the speaker grill fabric be replaced or removed to change the color to black for matching other room speakers? BEST ANSWER: Its not fabric. its metal and it is listed as paintable. Th grill is all metal. It could probably be painted or have a colored fabric glued to it. The speaker grill is magnetic and can be removed and painted. can i mount these in the ceiling? BEST ANSWER: You probably could but they are designed to wall mount due to the design of the speaker woofer tweet woofer. This sounds best when directed straight at you. The ceiling speakers will work better for you and sound great. Yes, if you install them length wise between the joists. You will need to make boxes around them with a cover to protect them from insulation or dust. can you recommend a good ceiling speaker for a 7.2 system please. Would 3 of these fill my front if my room is 16x20 (screen is on 16 ft wall)? We sit about 13 feet away. Planning to build a box for them and integrated into existing acoustic panels. Center speaker will sit horizontal. BEST ANSWER: Thank you for your interest in these ribbon speakers. 3 of these speakers in a LCR set-up will do your room quite nicely. I would use a sub with them like our 12-Inch 150-Watt Powered Subwoofer. I have installed them in a 16x20 and they worked fine, but the customers don't watch movies or TV at crazy volumes.. You will definitely want to get a subwoofer if you go with them to block the lower frequencies from them. If it is home theater you will probably want one anyway. If you buy these or any Monoprice speaker make sure that you use your drill to tighten and then loosen the dogs that hold it against the ceiling before you install them. The dogs have only had the screws partially screwed in so the threads have not been cut into the dog except for an inch or so. By doing it before install it you can hold onto the dog and slowly drive the screw through it and then unscrew to the dog back in place and ready to install in the wall or ceiling. If you don't do this you can end up breaking the dogs when you tighten them down because the plastic they are made of is not the best. It takes a few minutes to do it to the mounting dogs and then they will be quick to install in the ceiling. Don't let this stop you from buying them as they sound great. Yes they would definitely work in that size room. Keep in mind the size of amplifier in your receiver as well. You'll probably want to match the speakers peak specs for optimal performance. Can these speakers be used outside on a deck? No water can reach it besides normal dew in the morning. 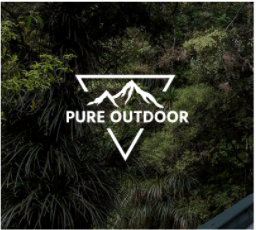 Thanks and as soon I posted the Q, I saw their Indoor/Outdoor section. I understood it probably wasn't recommended, but figured I give it a shot. Thanks for the quick response. I would not use them for outdoor use. I believe they are indoor speakers. Hope that helps. they are not 100 % weatherproof but directly out of the elements they should be fine . I am interested in these speakers, but from the pictures it looks like the ribbon tweeter is mounted incorrectly and should be rotated 90 degrees. It looks like a folded ribbon tweeter or AMT. This type of tweeter is always mounted so the folds are oriented vertically and the opening is taller than it is wide. These appear to have the folds horizontal and the opening is wider than tall. This will give the speakers a broader vertical dispersion and narrower horizontal dispersion which almost never what you want. Can someone confirm this? BEST ANSWER: I have these speakers. I also have amt type ribbon speakers. The ribbons in these monoprice speakers are not the same. These ribbons are flat and have (hidden by the louvres) magnets over them. In any case, these speakers seem, to me at least, to have better horizontal dispersion than my amt ribbons. the tweeter is more of an electrostatic panel, than ribbon, as there is no folding to the material whatsoever. This is the case. That said, I'm not sure if they've tried to compensate for this in the crossover or not. They are very bright at higher listening levels, but seem to image very well. I have a Yamaha RX-A3050 powering them and after running the 8 point EQ sweep they've improved dramatically. Movies draw you in as they should, voices are pinpoint in location and the surround effects all blend very well. I like them, especially for the price. Also, the bass from these is impressive especially for an inwall speaker. I'd but them again. For Reference, I have a set of 2.5 TMM using all Scan Speak components, powered by 200 class A watts that I use to listen to music with and design and build speakers as a hobby. Any thoughts about how these compare to the Alpha speakers in either 6" or 8"? BEST ANSWER: Thanks for your interest in this speaker. The carbon fiber drivers are the same as the Alpha series so low mids and bass will be very similar. These ribbon HF against the titanium silk HF of the Alpha will be a little smoother. If you use the attenuation on the Alpha you may be able to get it pretty close. Several other users have commented favorably on using the these with Alphas. I haven't heard them, but would imagine they are similar. 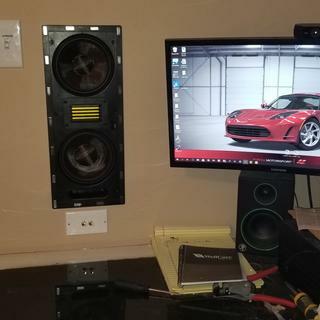 I have these Amber 6.5" 3-ways as L and R front speakers. My center speaker is Alpha In Wall Center Channel Speaker Dual 5.25 Inch Carbon Fiber 2-way (single). The sound is awesome, and they are behind my sound-transparent screen. Highly recommend them. I've had Bose bookshelf, Polk Audio, etc... these are as good as anything. Hi Dave - it seems you have all the answers regarding the Amber ribbon speakers. Are there any more details you can provide on the upcoming ribbon in-wall and ceiling line? I am mostly interested in dimensions. I have contractors finishing my basement and I getting close to needing to run low voltage and I have already purchased Alpha speakers (13683, 13616, 13618) for my home theater and would like to replace them with these ribbon speakers when they become available - can't wait until October to install though. I have depth limitations for the rear surrounds (3.5" total clearance) which is why I had to get the 6.5" alphas. My concern is that I don't want to have a larger hole in my wall than what the ribbon will need. On another note, does anyone use these speakers (15700) as left front and right front speakers? I want to get these but am concerned they will overpower the alphas I will be using everywhere else. It would be great to know all the dimensions (depth included) of the upcoming ribbon speakers so that I can make sure I future proof my setup and have my contractors allow for them. Thanks! BEST ANSWER: The new Ambers are still in development. We have not finalized dims at this time. I am trying to keep the dims similar to the Alphas. 3.5" is my target depth for all of the installed speakers to fit within 2x4 studs. The use of the Amber 15700 with Alpha surrounds seems to be a pretty popular formula. If you scroll through the reviews you will see quite a few folks doing just that. Awesome, thanks Dave! It would be great if I could just plug the Amber speakers in to the hole that I am cutting for the Alphas I already own so upgrading would be easy. Dave - Assuming the new Amber's will look the same as these so I could buy these for L/R and wait until October for the Center & surrounds? 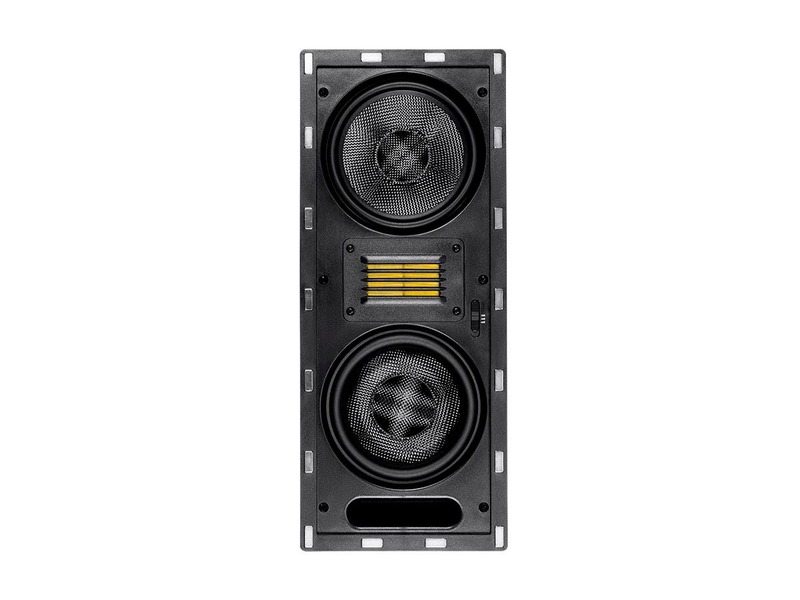 Would these speakers be excessive for surrounds on a 7.1 system? It seems to me that these might be a bit much, but maybe bigger is better. Also, is there a good way to mount one of these vertically as a center channel? As others noted, it's too long to mount horizontally between studs. I suppose I could put it vertically underneath the TV, but good grief, that would look weird. BEST ANSWER: These speakers will work very well as any part of your home theater system. I'm planning to install the 7.2.4 atmos set up. The LCR will be these speakers. I haven't decided on the in-ceiling speakers yet but might be the 13687 model below. The new speakers that will be releasing in October, will the line up include a single 5.25" or 6.5" with the ribbon tweeter? The current 8" would be an overkill for the setup. And is October still the correct release date? BEST ANSWER: The alphas are also great speakers. The new Ambers are still slated for Oct. Ceiling mount versions will be available in 6.5 and 8 inch. Thanks, Dave. Will the in-wall version of the 6.5" also be available in October? Dave, you answered a question about the Xmax for the 8" wall mount Ambers in the Questions section. I was able to use those specs to build back boxes with dual front-firing ports for a ceiling application. The improvement in bass response was huge. Do you have similar specs for these 3 way Amber speakers? I would like to build a box for these that optimizes the built in port. Thanks in advance! BEST ANSWER: Glad it worked out for you. 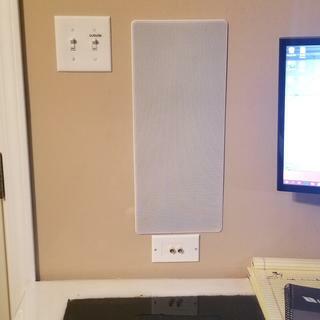 I am currently working on a project to get builder specs for all of my in-wall and ceiling speakers. Stay tuned as these specs will be posted to the project page as soon as they become available. Dave, where is this “project page” you speak of? 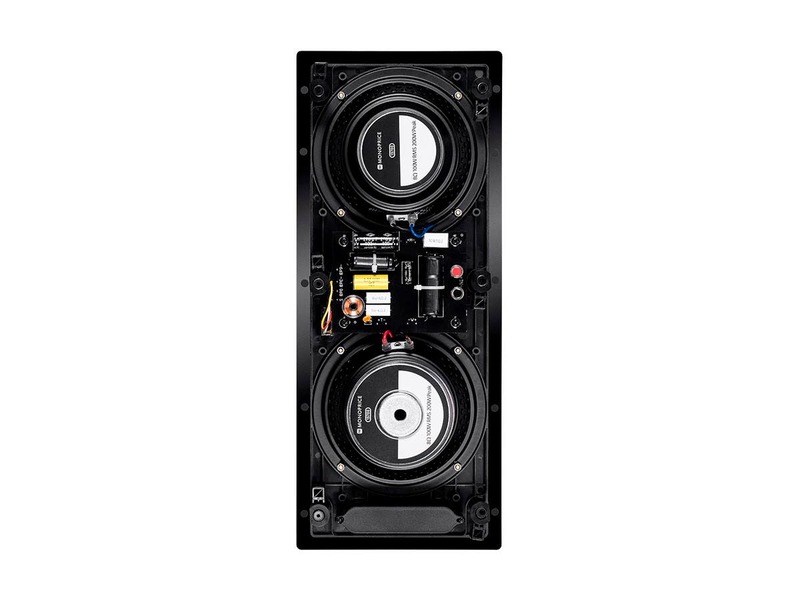 If I a putting this in very small home theater (12x12 room) Do I need the subwoofer? I'd pair these with the 8" for the rears, and the matching center. Seems like enough bass in that small space...or is it worth adding you 12" sub? I don't want to overwhelm the space. BEST ANSWER: I'm running all Amber carbon/ribbon speakers (with the exception of my sub) in my Atmos 7.1.4 setup. The sub is a boxed & ported 8inch of a different brand. You'll want a dedicated boxed sub to get those real lows. It won't be over-whelming or too bass-ee. I agree with "New User U" in that the purpose of a sub is to hit those really low notes and movie sound effects. Also, a well designed surround receiver removes the low bass notes from the satellite channels and funnels it towards the sub output RCA jack anyway. So you would be lacking in the bass content in these or any brand of satellite speakers. Also consider that nearly every powered (i.e. an amplifier is built into the sub enclosure) sub has a volume/level control to make 'voicing' match the listening environment. what is a better pairing for the Amber Center? The 6.5inch 3-ways or the (6.5"/8") 2-ways? The Amber and Alpha magnetic grilles are listed as being paintable - however, they have a thin cloth liner that looks to be spot-glued in the inside. When painting with spray paint, is it recommended to remove this cloth liner, and if so, how? Because it seems to be glued in, and when attempting so see if it was removable, I was most certainly going to rip it. BEST ANSWER: The cloth scrims can be gently removed from the metal grill intact allowing the grills to be spray painted. The cloth scrims are there to make the speakers behind the grill less visible, if you want that look then you can replace scrims. If you as not worried about the shadows of the drivers being somewhat visible then you can omit the scrims. Tear it out, then you can faintly see the underlying drivers after. Leave it in, and depending on the thickness if paint, you may just be tearing it out after. Has anyone compared the performance with the port cover in place vs removed (bass reflex)? My application is in exterior facing falls so the space behind the speakers is packed tight with fiberglass insulation. BEST ANSWER: When the bass port is uncovered there is a small increase in bass response even with insulation the wall. Has anyone used this as their center speaker? The wall I'm installing in I can cut the joists and box out a place to install knowing it's too wide normally. I was hoping to wait on the center speaker version but see the TBD date has slid further out to April. I have these for my left, right, and surrounds. Wondering if I should hold out if the center version is better for it. BEST ANSWER: I apologizes for the wait on the Amber center channel. If you have the ability to box out your joist this one will do nicely for your center channel. Does anyone know what the crossover frequencies are set at? Any chance that a dedicated center will be made? The current is too wide for a standard install and the tweeter is in the wrong orientation for optimal dispersion if turned on it's side. BEST ANSWER: Yes, we are selling one now. It can be found under product number 24431. 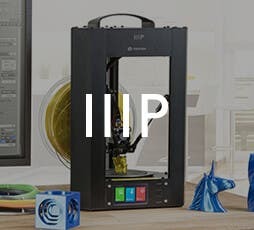 Any idea what size enclosure these can be set in? I will be installing L/C/R in the same cavity and would prefer to separate them. BEST ANSWER: It really depends on your preference in sound. The bigger the box the better the bass response. Use the removable port cover for more bass in a smaller enclosure. There are several DIY sites for speaker building. Would these speakers benefit from a baffle or a specific amount of airspace to provide best sound quality? Unfortunately we would not have information concerning whether or not you would want a baffle on this speaker in your specific setup. 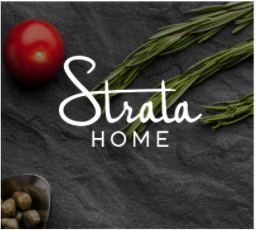 That we would be a question we would recommend you direct to an installer. Any plans on making a larger set of these? And a Center channel? Amber In-Wall Speaker 8-inch 3-way Carbon Fiber Column with Ribbon Tweeter (each)??? BEST ANSWER: Target ETA 10/17. Is it still on target date for a larger speakers? Some additional speakers are now listed, but not the 8” version of these. Are those still coming? What about the center channel that exceeds the typical stud width? I’ve prepped my new theater room for these and am anxiously waiting for them to be released. Thanks. ...waiting to see the 8” version eagerly. 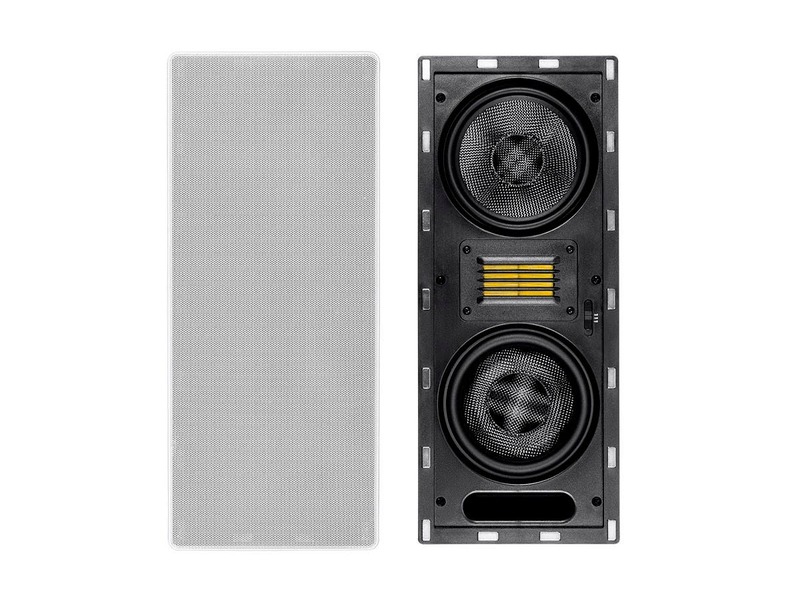 Hi, want to get this speaker for L/C/R for a theater setup up. But after reading other questions, I'm a bit confuse regarding its use and mounting position. Can it be use as Center channel? Mounting positioning, vertical only or can it be mount horizontal? If it can't be use as Center can you recommend a Center that matches the L/R speakers? BEST ANSWER: I'm using these now in my 7.2 setup and they operate excellently as a center channel speaker (I've mounted them vertically behind an acoustically transparent screen). I can't rate them highly enough. put these in home theater room and they sound great. I brought this under suspicion, that this was a cheap buy. However I am very happy with the purchase, the sound is great the bass response is good. The highs can be slightly bright at times as I use it as a center channel that's where the high-level attenuator on the front comes in handy. Overall love the speaker. First time buying speakers from Monoprice. I was pleasantly surprised. They sounded great. My daughter is quite happy. Well almost. She said her husband plays it too loud. I mounted 2 of these that I use as speakers for my computer. I also added the 200watt Amber subwoofer. Im pushing these with a Yamaha stereo receiver. Absolutely amazing...I couldn't ask for a better sound!! These sound great. Install was a breeze. As far as the retaining clips and screws go..Put a dab of silicone lube on the screw and run in and back out as you hold the clip. Do this on all the screws before you install and it will be easy to run them in. Haven't installed yet but they look great. Great part of a Dolby Atmos 7.2.4 setup. I love these speakers. I’ve paired four of them with six 8” Amber in ceilings, one Amber center channel, and two Polk 12” subs. All driven by the Denon AVR-X4300H in a 7.2.4 Dolby Atmos Arrangement in a room 40’x16’. The sound fills the space amazingly well. These speakers exceeded my expectations. I would never pay more for speakers. As ever, Monoprice is the best bang for the buck. Tweeters are SUPER harsh sounding. I don't understand why all the positive reviews here. The ribbon tweeters are terribly harsh. I would say the worst sounding of all 6 pairs I auditioned. Interestingly, the Monoprice Caliber speakers were the best sounding!